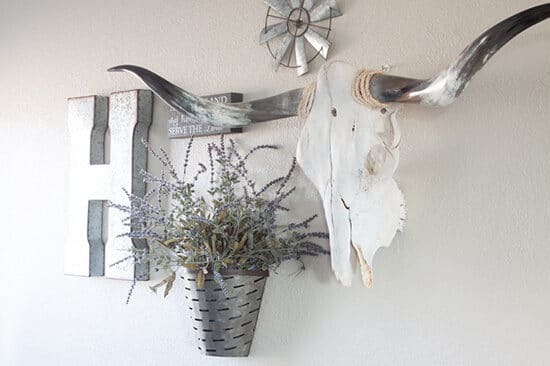 HMMM, farmhouse decor. I love it. 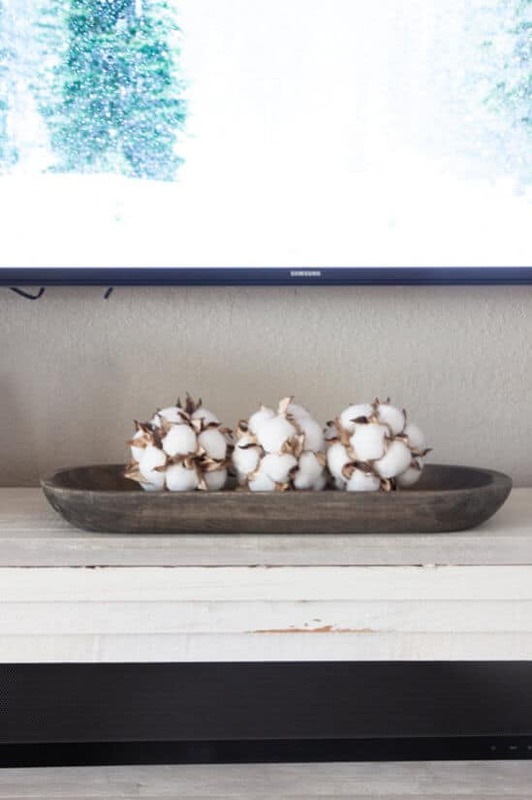 I have loved farmhouse decor and style since before it was a popular thing. I never had a good “name” to call my style, but I knew what I liked and what I didn’t. 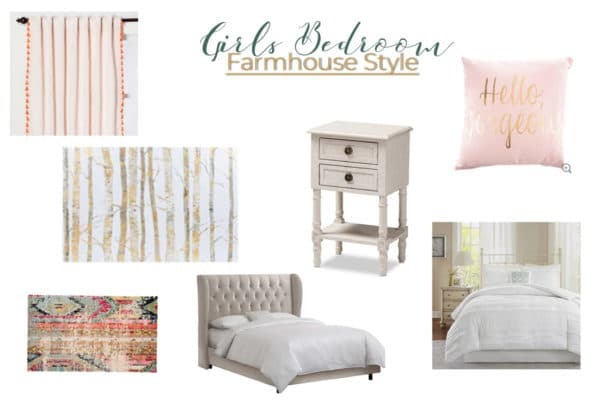 Today I am going to show you some pretty, farmhouse-inspired living room decor I’ve found while shopping online. 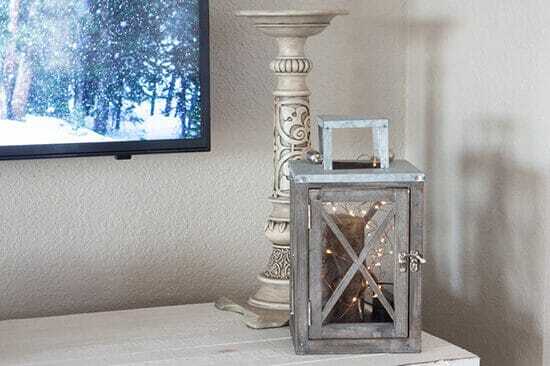 My favorite places to shop for farmhouse decor are Hobby Lobby, Kirkland’s, Etsy, sometimes Target, and sometimes Amazon. We moved into our new house almost a year and a half ago and I am still working on the decor. 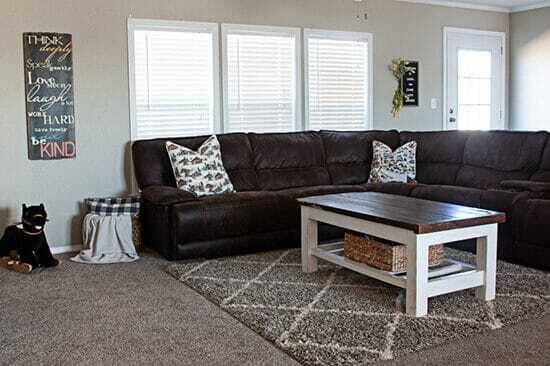 I have the living room partly done but I would like to add a few more things like a pouf or big basket for throws, some different pillows (I like the grey & white check but need the others to be bigger). I’d also like to have something on the coffee table, not sure what yet. And the windows. I am not sure if I actually want curtains. If I don’t get curtains I at least want some kind of cute something on the windows like little wreaths or floral swags or something. 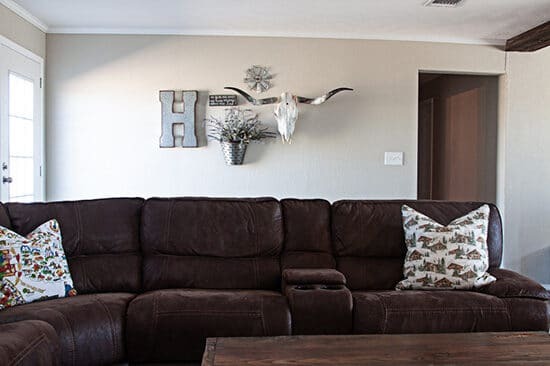 Ok, anyway, here are some of my favorite farmhouse living room decorations. What a beautiful space you’ve created! I’m at the same stage with my house!.We’ve been living here for over a year but we still have so many rooms left undecorated! I loved the metal swinging bowl, such a statement piece! Yes! It is a great piece! 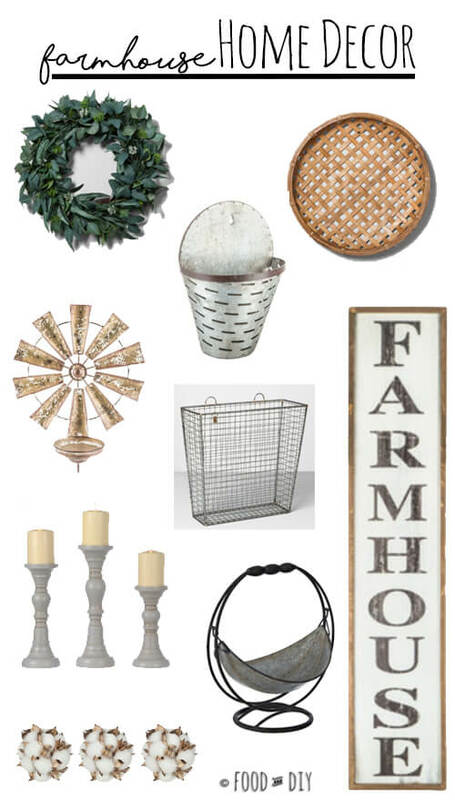 Farmhouse decor is so pretty! And I love your living room table! Thanks!!! The top is made from a 100-year-old barn!! We LOVE it because if the kids beat it up it just looks even better! I love the spacious casualness of the decor. It allows for an ambiance of restfulness. Thank you!! Yes I love that about it as well! Love the decor! Great list of items. 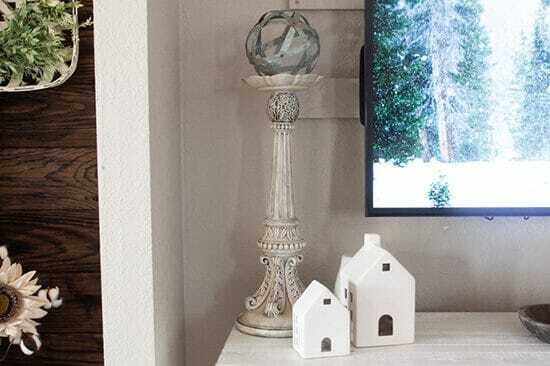 Love this decor! I love shooting at hobby lobby and target, they always have the best finds! 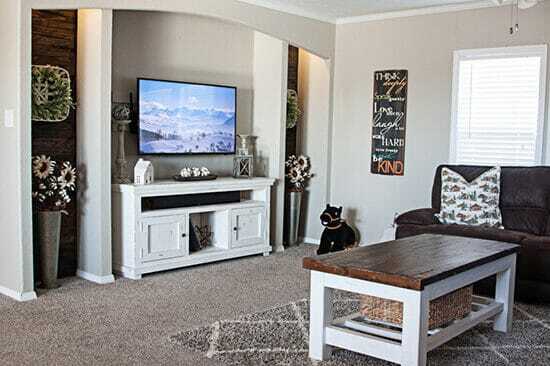 I will be helping my mom decorate her new house soon and will definitely be checking it these links! Super! It is always so fun to decorate!